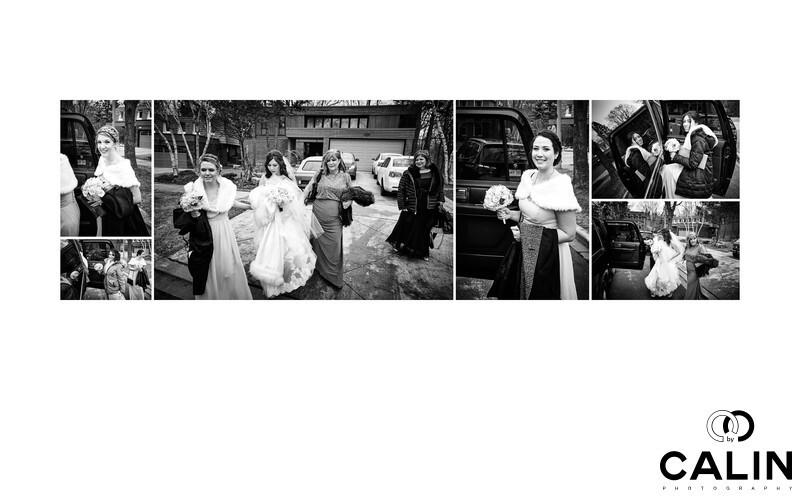 This album spread features all the bride and her bridesmaids getting on the limousine to head to her Berkeley Church wedding. I used a black and white processing for the seven photos that are included in this spread to reflect the candid moments captured on camera. Location: 315 Queen St E, Toronto, ON M5A 1S7.